Due to current Gnome 3 and Unity madness I still use good old GNOME 2 based Linux operating systems like Centos 6 and Ubuntu 10.04 LTS on all my machines. When I need productivity I put on my Clearlooks theme. 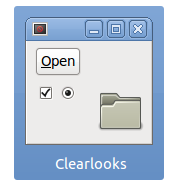 Clearlooks is simple and elegant theme engine for GTK+ used by default by GNOME desktop environment version 2. This is theme that has been around for years and if you have GNOME 2 on your machine you most likely have Clearlooks theme. A few years ago I've noticed a little bug with Java based applications. Basically when you switch to Clearlooks theme your Java applications loose menu borders. In this article I'm bringing workaround for missing menu borders on Java applications with Clearlooks GTK+ 2 theme. 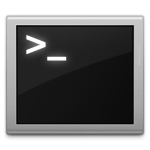 This entry was posted in Linux and tagged Clearlooks, Gnome, GTK, Linux, Ubuntu on April 10, 2012 by Marko. Mod_rewrite is Apache web server module that enables you to do behind scenes URL rewrite on your Apache powered web site. Using mod_rewrite you can make your site URL's user friendly and hide your site inner workings to increase security. Writing mod_rewrite rules requires some effort to master regular expressions and somewhat hairy mod_rewrite syntax. The whole process is much easier when you have insight to rewrite engine. In this article I'll show you how to debug Apache mod_rewrite by enabling logging feature while creating your rewrite rules. This entry was posted in Linux, Web Development and tagged Apache, debug, Linux, mod_rewrite, Ubuntu, Web on March 28, 2012 by Marko. Lets be honest, coding on Linux will probably include some Java based application like Eclipse or NetBeans. That's actually not a bad thing because we get to carry our development environment with us when using other proprietary operating systems. But since Oracle sliced "Operating System Distributor License for Java" and now nobody can legally host Java repository we have to install Java manually by downloading their JRE or JDK blob from Oracle servers. That isn't exactly hard thing to do but we don't want to give Oracle the pleasure of knowing that they made our already crowded day a little more complicated. So here I'm presenting work of excellent Debian packaging work by Janusz Dziemidowicz and a fellow open source enthusiast Martin Wimpress from Flexion.Org. These guys made it possible for us to create Java JDK 6 and JRE 6 deb packages and create local Java repository our selves. This entry was posted in Linux and tagged Bash, Eclipse, Java, Linux, NetBeans, Ubuntu on March 2, 2012 by Marko. This is my first article in what I'm hoping will be a series of articles on system programming for POSIX compliant operating systems with focus on Linux. Actually I've touched this topic a while ago when I wrote three articles about library programming on Linux (static libraries, dynamic libraries and dynamic libraries using POSIX API). In this series my goal is to go trough basics of Linux system programming from the easiest topics like open file, read file and file write to a bit more complicated things like Berkeley sockets network programming. So lets get started with environment setup and an example of program that copies source file into destination file using POSIX API system calls to demonstrate open(), read() and write() system calls on Linux operating system. This entry was posted in Linux development and tagged Cpp, Development, gcc, Linux, POSIX, system programming on February 28, 2012 by Marko. Not so long ago I've discovered few bad sectors on one of my machines hard disk. The failing component warranty hasn't expired but I was reluctant to take it back to my hardware dealer because that would make this machine unusable until the whole process is finished. Hard disk device in question is currently in my hardware dealers hands an I'm waiting for replacement but that hasn't stopped me from writing this article using diskless machine in question. In this article I'll show you how to install LTSP (Linux Terminal Server Project) on your Ubuntu PC and how to configure this system for booting thin clients over network using PXE (Preboot Execution Environment). This entry was posted in Linux and tagged Linux, LTSP, network booting, PXE, Thin client, Ubuntu on February 22, 2012 by Marko.